Fashion should feel good – and right now, the fashion industry on a whole feels anything but. The good news is that together we can change that – it’s at the centre of everything we do. We believe in making quality fashion produced in a sustainable way, which is why we’re excited to get involved with the Fashion Revolution this year. We’ve all been there – buying that low quality, cheap top because the price was right. But when a factory in Bangladesh collapsed in 2013, killing 1,134 and injuring 2,500 – many realised that our clothes could have been manufactured in a factory just like the ruined Rana Plaza complex. The Fashion Revolution was born, and every year since, people from all over the world have come together to make fashion a force for good. I Made My Clothes: Love to knit, crochet or sew your own clothes? Print off this PDF, and share a photo on Instagram with the hashtags #woolandthegang and #whomademyclothes. We want to see your beautiful creations! Vote with your wallet: We all love to shop – but not at the cost of people or the planet. We have the power to change things by shopping for ethical brands who are open and honest about how their clothes were made. Ask a Brand: Take a picture of your clothing label during Fashion Revolution week and ask #whomademyclothes. Tag the brand, share your photo on Instagram and get your friends to do the same! Write a letter to a Policy Maker: Policy Makers and Legislators have a huge impact on things like minimum wages and working conditions. Let them know what’s important to you, and share their response with the Fashion Revolution. Here’s how. Fall in love: Share a story or write a letter about a piece of clothing that means a lot to you and share it with us! 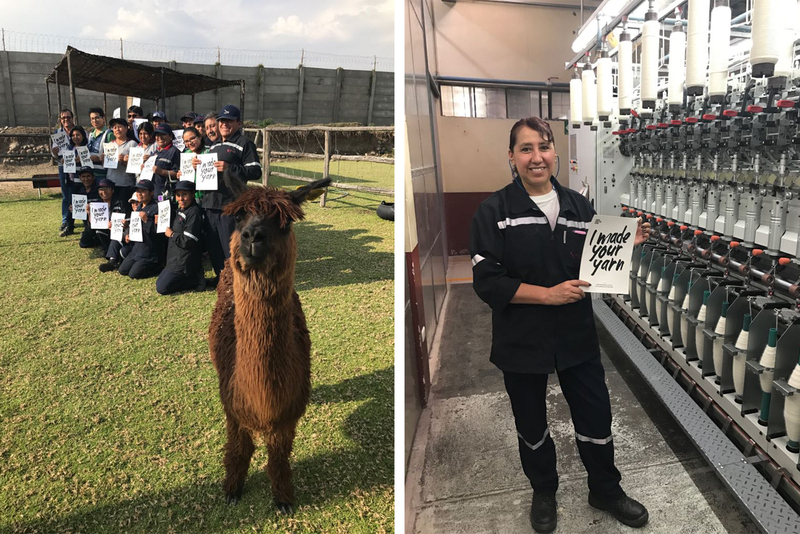 Our amazing people behind Shiny Happy Cotton, in Northern Peru. While we’ve got lots more to do, the Fashion Revolution has already serious progress in demanding change. Last year, more than 70,000 people posted using the hashtag #whomademyclothes, and over 1,200 brands responded with information about their production chain. This year, 90 countries are getting involved with the movement – and the second edition of the Fashion Transparency Index will be released, profiling 100 global brands and retailers. The talented team who made your yarn! We’re going to practice what we’re preachin’ and take a closer look at who’s been making our yarn in our next blog post. Until then, let us know how you’re getting involved in the Fashion Revolution in the comments below! Gracias to the people in Peru for taking care to make a great product. 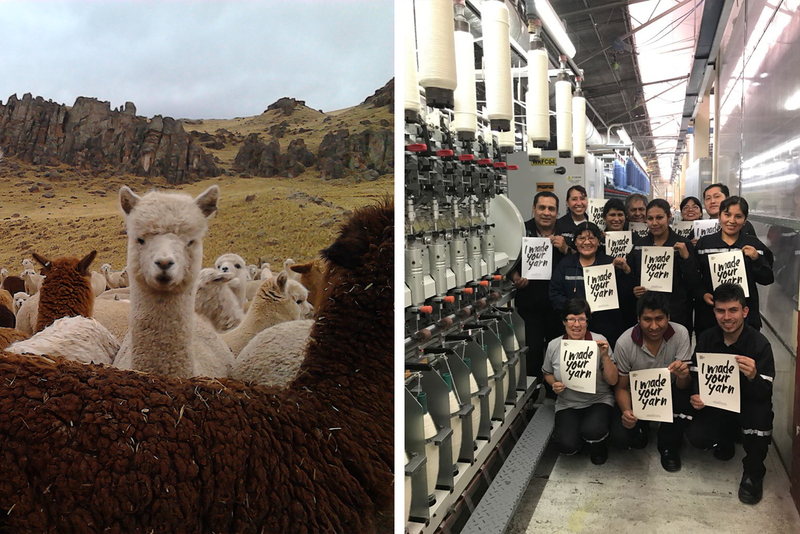 Well done to Wool and the Gang for sourcing from Peru. Keep it going long term please.